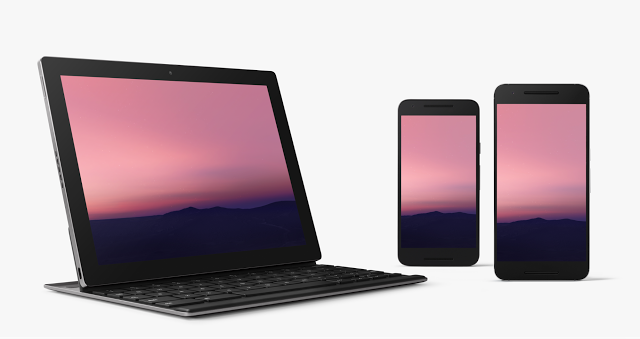 Google’s Android N developer preview is going full steam ahead, with OTA updates heading out to Nexus 5X, 6P smartphones and Nexus 9 (Wi-Fi and LTE) tablets enrolled in the Beta program. The OTA updates are all quite small, sub-30MB in size, but are being offered to pretty much any of the devices enrolled in the Beta, now waiting here. The Nexus 5X and Nexus 6P build numbers are moving from NPC56P to NPC56P, while the Nexus 9 (Wi-Fi and LTE models move from NPC56P to NPC56X. 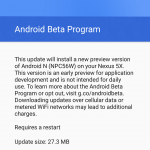 If you’re not enrolled in the Beta program to update your device, the process is simple and ensures you will be inline to receive future updates, of which Google advises they have 4 planned before a Q3 release of the final product. 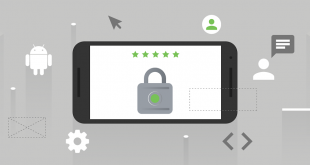 If for some reason you just want to flash an image to your device you can download the updated images from the Developer page now – then enroll the device in the developer program to ensure future OTA updates arrive. There’s not many differences we can see so far, if you see anything let us know. Source: Android N Developer preview. Apparently there was a blocking bug that caused Google to put a hold on Android N OTA updates for the Nexus 9. This update might have something to do with that. It’s an early developer preview. Settle down.